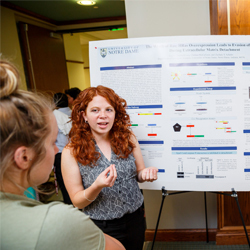 This summer, the University of Notre Dame welcomed 14 students to campus to participate in the NSF-funded Research Experience for Undergraduates (REU) program in the Department of Biological Sciences. 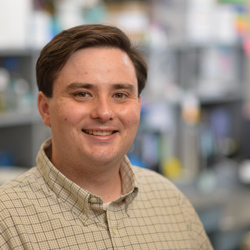 Dr. David Hyde and his team have been awarded over $1.9 million from the National Institute of Health (NIH) to lead one of six projects planned to identify biological factors that influence neural regeneration in the retina. A team of researchers from the University of Notre Dame’s Eck Institute for Global Health (EIGH) has received a grant from the USAID to pursue a novel solution to the Zika outbreak. The team, led by Molly Duman Scheel, an associate professor of medical and molecular genetics at the Indiana University School of Medicine-South Bend (IUSM-SB), associate adjunct professor of biological sciences at Notre Dame and member of EIGH, is developing an insecticide to destroy Aedes aegypti larvae before the mosquitoes are able to hatch and transmit Zika. Metastasis, the process by which cancer cells leave the primary tumor and spread to other sites in the body, is responsible for more than 90 percent of cancer deaths. Thus, there is a significant need to improve the therapeutic options for patients who suffer from metastatic disease. 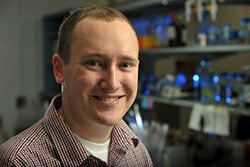 New research from the laboratory of Zachary T. Schafer, associate professor in the Department of Biological Sciences, Coleman Foundation Collegiate Chair of Cancer Biology and researcher in the Harper Cancer Research Institute, could lead to these new therapies. 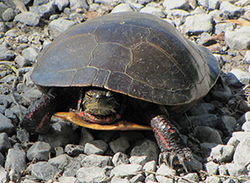 Scientists use the fossil record to make judgments on the physiology and behavior of species. But are those interpretations correct? 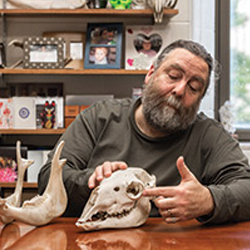 New research from a team of researchers led by Matthew Ravosa, professor of biology and concurrent professor of both aerospace and mechanical engineering and anthropology, puts into question how we interpret the behavior of extinct organisms from their fossil remains, and the greater role of plasticity — or the adaptive fine-tuning of the link between anatomy and behavior — in determining evolution diversity. Malcolm Fraser Jr., the University of Notre Dame’s Rev. 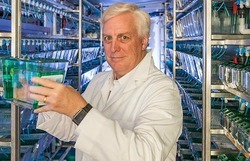 Julius A. Nieuwland, C.S.C., Professor of Biological Sciences, is conducting research that utilizes the silkworm caterpillar’s silk gland to conduct mammalian-like protein production with the end goal of producing cost-effective biotherapeutic products, or therapeutic materials created utilizing recombinant DNA technology, that can be used to treat life-threatening and chronic diseases. 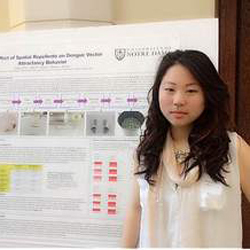 New research completed at the University of Notre Dame’s Environmental Research Center (UNDERC) – West indicates that as sinking brine shrimp cysts remain while many floating cysts are removed, the brine shrimp population is shifting to contain more sinking cysts. 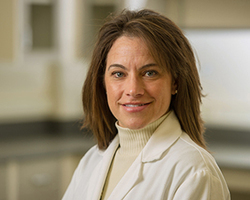 University of Notre Dame medical entomologist Nicole L. Achee is a member of committee convened to summarize the scientific discoveries related to gene drives and considerations for their responsible use. The National Institutes of Health (NIH) and the Foundation for the National Institutes of Health asked the National Academies of Sciences, Engineering and Medicine to convene the committee. Today, April 25, is the annual World Malaria Day. This year’s theme – End Malaria for Good – seeks to build upon past successes in combatting this deadly disease, which killed over 435,000 people in 2015, and sustain this progress in order to truly “end malaria for good.” At the University of Notre Dame, Neil Lobo, a research associate professor of biological sciences and an Eck Institute for Global Health faculty member, is working to end malaria for good by focusing on the vectors that transmit the disease and how certain methods or interventions reduce malaria transmission. What is true for humans is also true for baboons: The tougher the childhood, the higher the risks of premature death later in life. 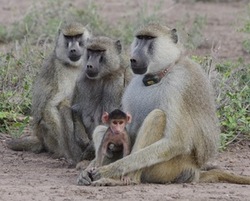 Numerous studies have shown that childhood trauma can have far-reaching effects on adult health and survival; new research finds the same is true for wild baboons. 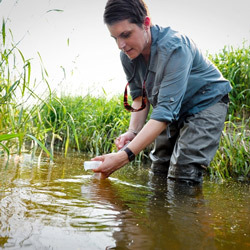 Jennifer Tank has received the 2016 Rodney F. Ganey, Ph.D., Community-Based Research Award for working together with Kosciusko County farmers and local conservation staff to reduce nutrient runoff in the Shatto Ditch watershed. 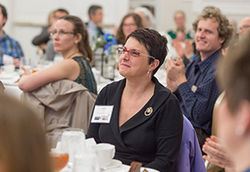 The award is a $5,000 prize presented annually to a regular faculty member at the University of Notre Dame who has completed at least one research project that addresses a need within South Bend or the surrounding area. Human malaria, uniquely transmitted by a handful of anopheline mosquitoes, continues to attack nearly 200 million people and claims the lives of 600,000 each year. 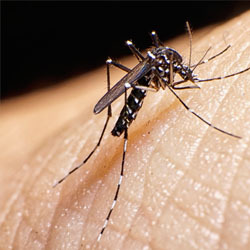 Africa bears the biggest burden due to its dominant vector, Anopheles gambiae. 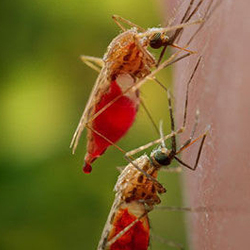 Ever since the groundbreaking Anopheles gambiae genome sequencing project was published in 2002, efforts have been underway to harness genomics for novel vector-based malaria control strategies. 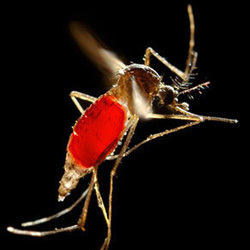 Nora J. Besansky, O’Hara Professor in the Department of Biological Sciences and member of the Eck Institute for Global Health at the University of Notre Dame, assembled a diverse and multinational team of scientists to crack the genetic code of the Y chromosome in malaria mosquitoes for the first time. A new program aimed at improving water quality in the nation’s heartland by using watershed-scale conservation to reduce nutrient runoff from farms was highlighted Tuesday (March 22) at a White House Water Summit. The program is spearheaded through a collaboration between the University of Notre Dame Environmental Change Initiative and Indiana University. When Europeans came to the New World in the 16th century, they brought measles and smallpox with them. Without the immunity Europeans had cultivated over the years, the native people in America quickly fell ill. Millions died as a result. 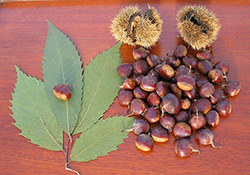 Today, trees in the New World are also dying from diseases that were introduced through global trade started by the Europeans. However, trees are much more vulnerable than humans.